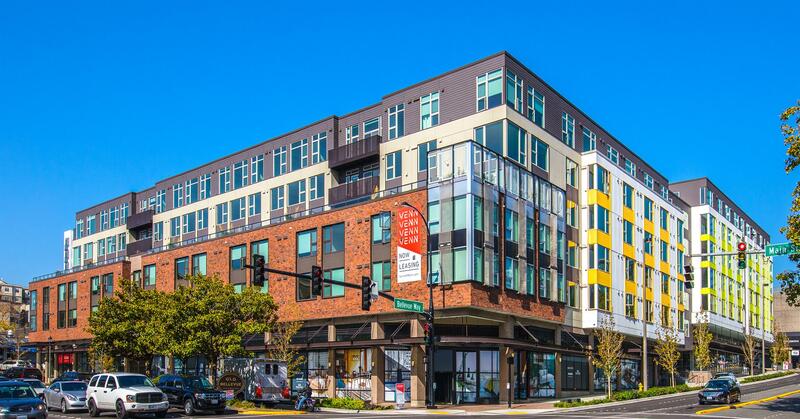 Venn at Main, a mixed-use complex at 10360 Main St. in Bellevue, has sold for $176 million, according to King County records. The seller was Bellevue Gateway LLC, an entity of The Wolff Co., which developed the almost two-acre site. The buyers were three LLCs led by EQR-Venn at Main, which are all associated with Equity Residential Investments of Chicago. Venn opened last December at the northwest corner of Main and Bellevue Way Northeast. Marketing materials list the address as 10333 N.E. First St. The seven-story complex has 353 apartments above 26,000 square feet of retail space. West Elm is among the retail tenants. Underground parking for 607 vehicles is on four levels. Units range from studios to one-bedrooms, two-level townhomes and lofts. Tenants share a fitness center, media room, interior courtyard, community kitchen and game room. The building was designed by Baylis Architects and built by Exxel Pacific. Brokers, if any, were not announced. EQR is a large REIT, which in May bought the new Springline apartments in West Seattle for $57 million. 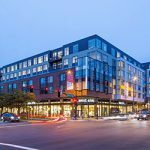 EQR’s other local holdings include Harbor Steps on First Avenue, Odin in Ballard, Packard Building and Pearl on Capitol Hill, and the 39-story Helios, which is nearing completion at 204 Pine St. Helios will have 398 units. Equity is also developing an unnamed project at 1401 E. Madison St., on the former Piecora’s pizza site. Nationally, Equity owns or manages over 300 properties with over 77,000 units. Its chairman and co-founder is billionaire investor Sam Zell. Equity has a market capitalization of about $25 billion. Privately held Wolff was founded in Spokane in 1949 but is now based in Scottsdale, Arizona. It has built a half-dozen projects in the area, and is currently planning 557 units on the 12-acre former LifeBridge Church property in Kirkland.